As a teacher that is incredibly gratifying to hear that your efforts to engage students is having the type of impact mentioned by the parent above, and equally, as the Director of ICT at St Andrew’s College, I am thrilled that the teaching staff are using the tools in authentic ways like this. What is really impressive about a setup like this, is that the marking is effectively in real-time. 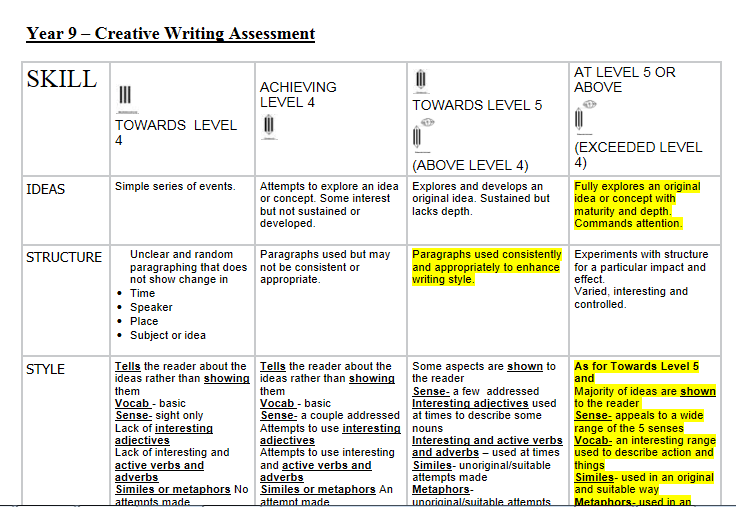 As soon as Dr Curtis has written her comments and added the above marking schedule, the student can see this. The power of MS OneNote, using SkyDrive Pro (update: the official MS Twitter account @msonenote said SkyDrive Pro is being rebranded as OneDrive for Business) in the background for synchronisation of data, means that the delays associated with traditional marking are eliminated, increasing student motivation and desire to refine drafts and submit work. All the best with your strategy of using One Note and adopting virtual folders. I used to manage the eLearning Unit at CPIT, and I know it can be challenging in an educational setting letting go of the ‘tried and true’! From what I can see of Jackson’s homework across all his subjects, the students seem to be quite happy swapping in and out of the various online platforms that they’re required to use (Moodle/Language learning sites/email/skydrive etc). It’s great that the ICT environment at STAC is becoming quite seamless now. 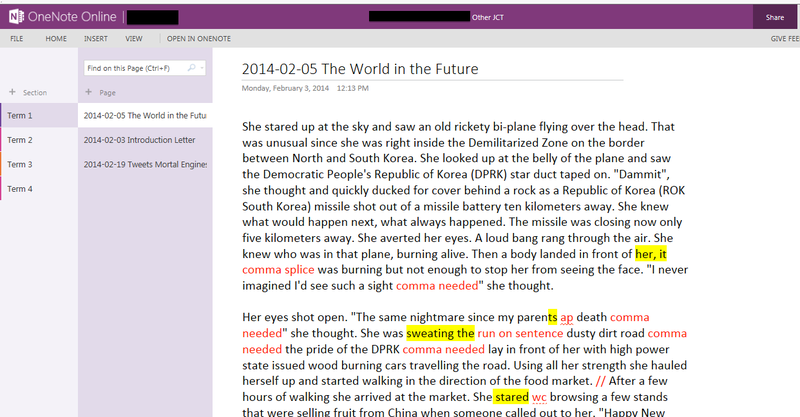 While OneNote provides a great tool for student-to-teacher and teacher-to-student feedback, where class-wide discussion is required, or student-to-student commenting, then the class uses a Moodle Forum where ideas can be shared, debated and moderated. Dr Curtis commented during our discussion on the quality and depth of the student answers within the forum and was particularly pleased at the willingness of students to comment on each other’s responses. Helpfully, Moodle’s “Participation Reports” allows teachers to quickly check whether students have completed assigned homework on a particular activity – something that is greatly appreciated by teachers, but not always so much by students! The use of Moodle forums, along with OneNote, really does allow the learning to take place anywhere, anytime, breaking down the physical distinction between classwork and homework. ♦ Dr Curtis noted that for Creative Writing, the class still uses pens and paper – the physical act of handwriting assists the creative processes. 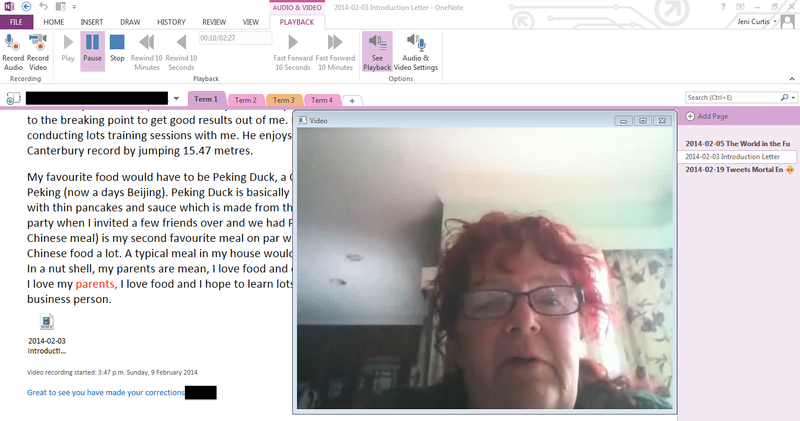 This entry was posted in eLearning, English and tagged BYOD, Education, English, Information and communication technologies in education, Learning management system, Microsoft, Microsoft OneNote, Moodle, Parent Feedback, Pedagogy, Student engagement, Student Work, Twitter by Sam McNeill. Bookmark the permalink.